When the Experienced Travelers found photos celebrating a past meal at Le Florimond, we thought you wouldn’t mind another visit. Don your napkins, sharpen your knives and prepare to enjoy the feast that marked my 50th birthday. I managed to make phone reservations for 7pm. (the Anglo-Saxon dinner hour; Gauls dine at 8:30) We arrived promptly only to be told “Mesdames, you are expected at 7pm.” After extensive Franglais, arm waving and pointing, we grasped a single phrase – Daylight Savings Time. It had ended *three days earlier*. Alors! That explained the chilly stares when Nurse bought our morning croissants (an hour early) and why the salon was closed when we arrived for a haircut (an hour early), yet the stylist never apologized for being late. We thought les gens were being French. It was les Americaines being clueless. An hour later, we were greeted with smiles and warm welcomes. Turning 50 was not a happy event for this Birthday ET. 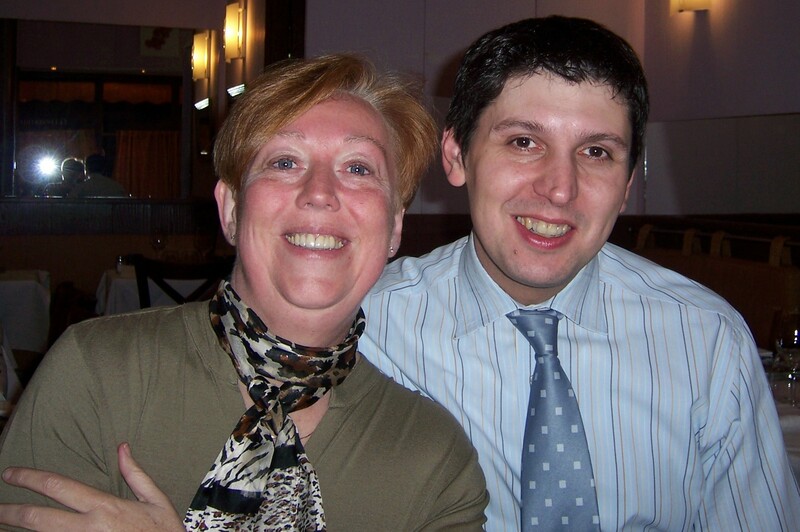 Le Florimond’s Laurent carefully chose a menu guranteed to bring the me back from the brink. We made a genteel toast to my next 50 years and awaited the first course. 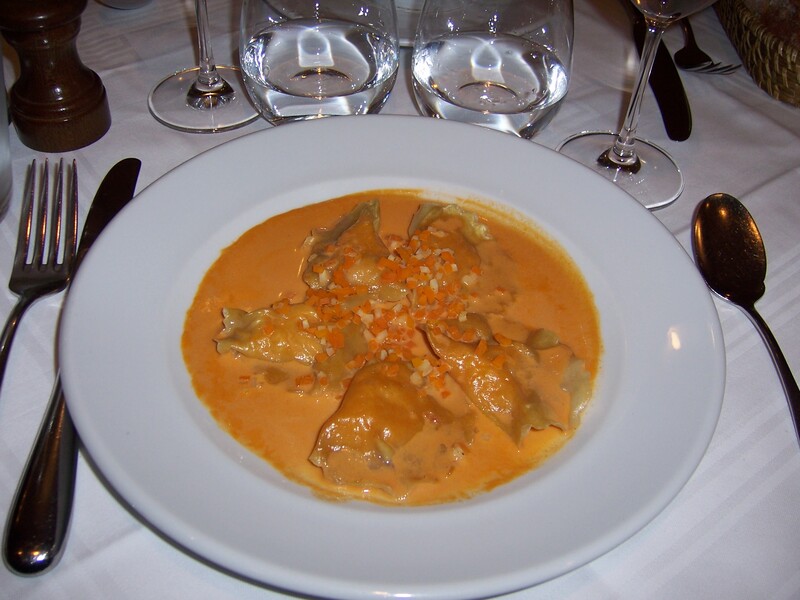 We started with the house speciality lobster ravioli in a light satisfying sauce of tomato and cream. This dish has occupied our dreams since our first visit in 1998 (when the Birthday ET was a mere lad-ette of 40…) And a fresh baguette insured that not a drop of sauce remained in the dish. The wine flowed; Nurse proposed a hearty toast to the lobsters that made it possible. After just one course, I was reviving. The chatter in the dining room modulated from English to French as the Parisian dinner hour approached. 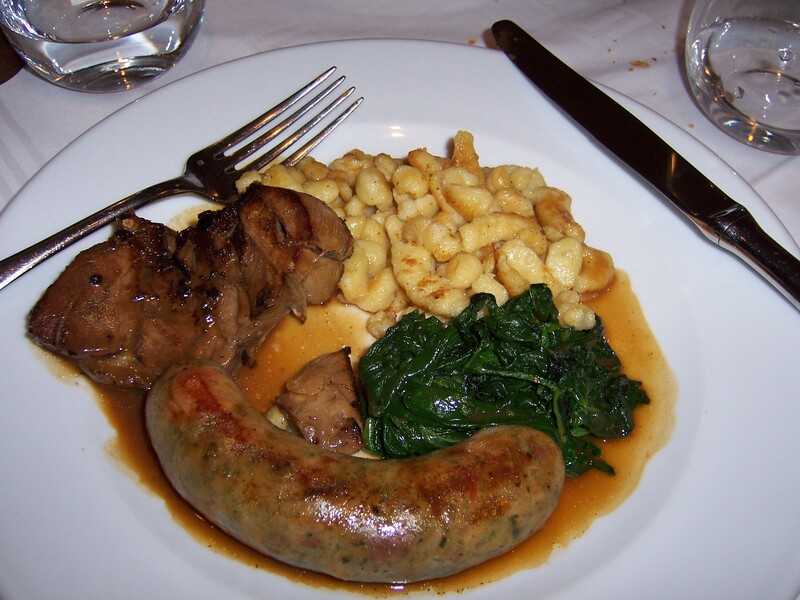 It was the perfect atmosphere for another house specialty, the Saucisse d’Alsace-Lorraine, served with sauteed spinach and firm gnocchi. More wine and a heartfelt toast to the good citizens of Alsace-Lorraine followed. 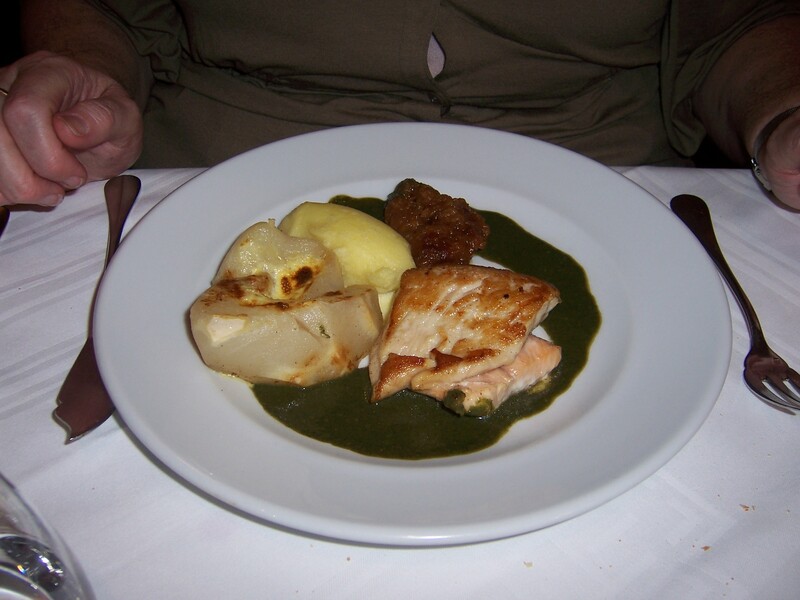 The salmon with pureed turnip and a sort of pierogi was a youth-inducing dish. My spirits were climbing. I was able to say “fifty”. The magic of the Florimond kitchen was working. We had to toast the cheese ladies, the boulanger and all the good people of Paris! By now the overall mood at the celebrating ET table was much improved. Surely, if I had to turn 50, doing so under the watchful eyes of Laurent and Nurse was the only way. 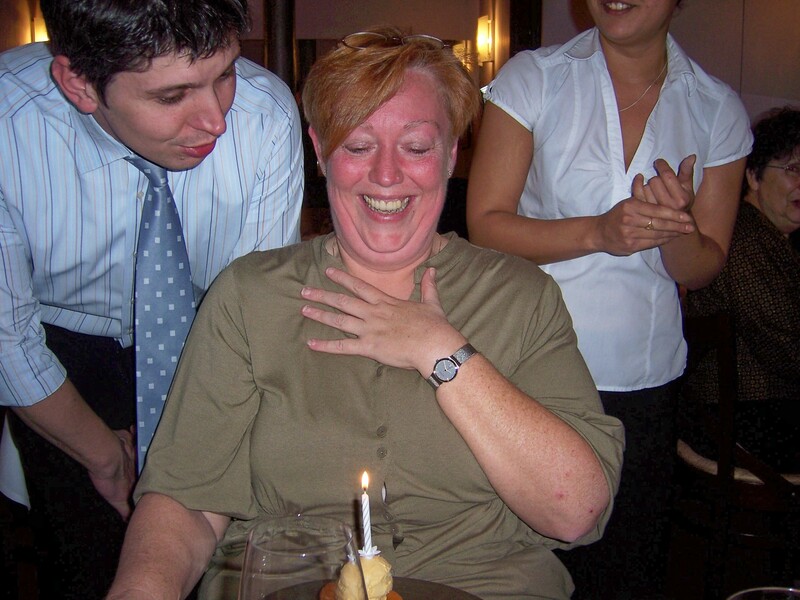 The crowning glory of the evening was dessert and the birthday serenade from Laurent and our server. The wine. The lobster ravioli. The baguette. The salmon. Nurse’s saucisse. And now, the dessert. 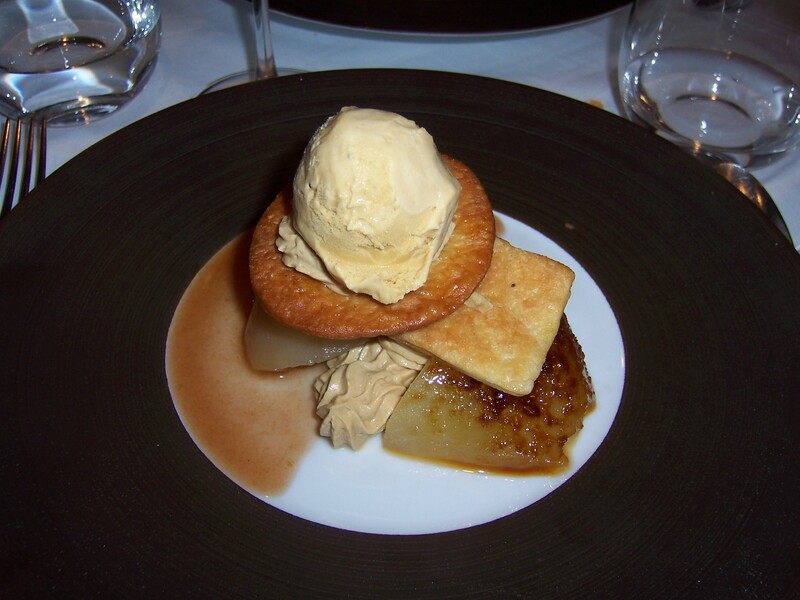 A perfect poached pear with ladyfingers, a vanilla coupe de glace, whipped cream and a lovely pear sauce. Since the dish contained an actual pear, it was a healthy dessert. One plate and two forks meant Nurse had to assist, so we obeyed Laurent and made fast work of this perfect treat. This called for multiple toasts to the forty Immortels of L’Académie française who protect the sanctity of French language and culture. At last, over a petit cafe, I came to terms. I was full, content, a little drunk, and in Paris. So how bad was it to turn 50? Not bad at all. 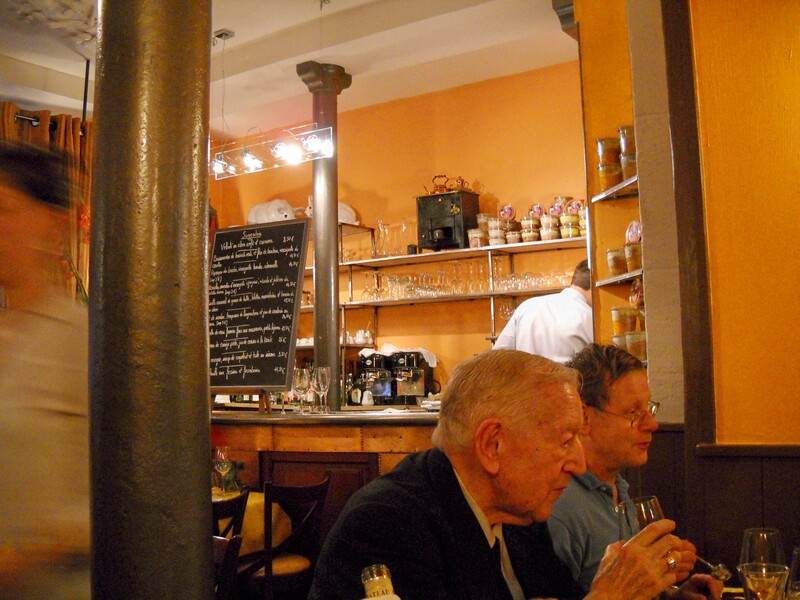 This entry was posted on July 16, 2011 at 1:40 pm and is filed under Dining, French food. You can follow any responses to this entry through the RSS 2.0 feed. You can leave a response, or trackback from your own site. 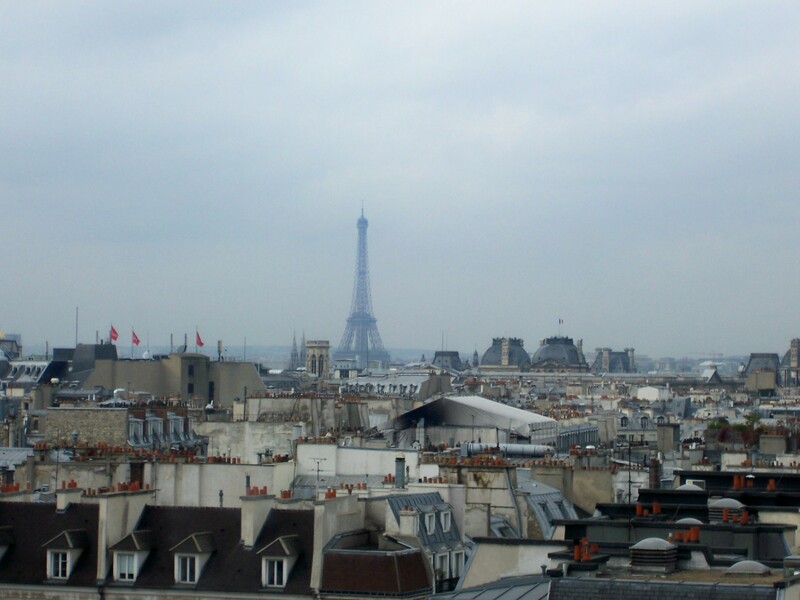 My husband and I recently visited Paris in anticipation of my 50th birthday. I wish I had found your blog before I visited, as I love your spirit (and restaurant recommendations). I noticed in one of your posts that you were bemoaning the fact that you must have a chip and pin credit card to use the Velibe bikes. Not so! My husband did some research prior to our trip and found that a regular old American Express card is accepted to rent the bikes. We had a blast riding all over town. I highly recommend you try them next trip! Tracilee thanks for your comment! And what excellent news on the chip-and-pin front. Don’t you think I need to return to Paris forthwith and try an American Express card on the Velibes? It’s a good enough reason for me. I appreciate your generous compliment and promise more restaurant posts. By all means I think you need to verify that your Amex card will work on the Velibes. And I would be happy to accompany you just in case you need assistance!